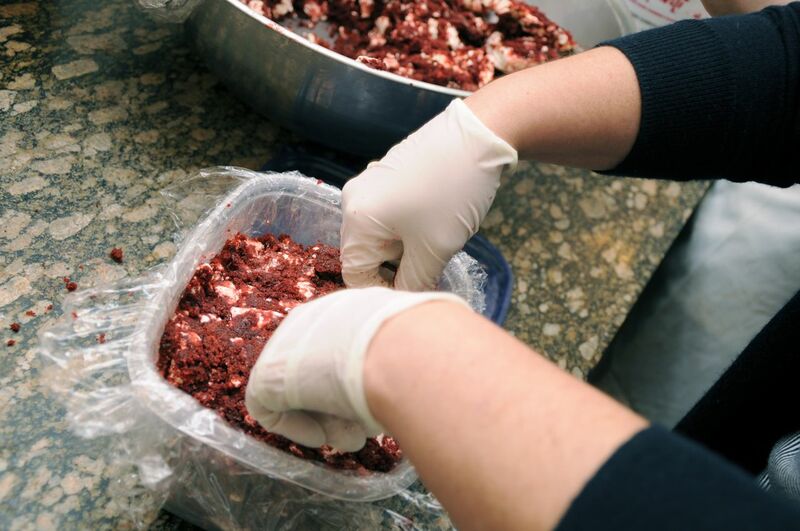 Today’s loaf will be made with red velvet cake (recipe courtesy of our friend Elisa Strauss of Confetti Cakes) and our delicious cream cheese swiss meringue buttercream. Step 1: Line a plastic container with plastic wrap. 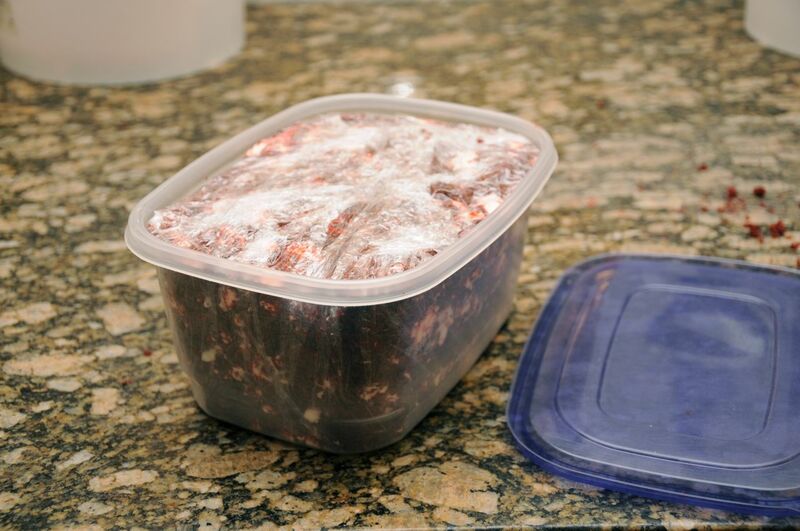 Step 2: Take scraps from the bowl and pack firmly in the container. Taking a break from filling my cake loaf so I can smile at Ron who decided to pick up my camera and start taking pictures. Robin couldn't help but jump in and start eating scraps from the bowl. So the last step is packing it all the scraps in, nice and tight. 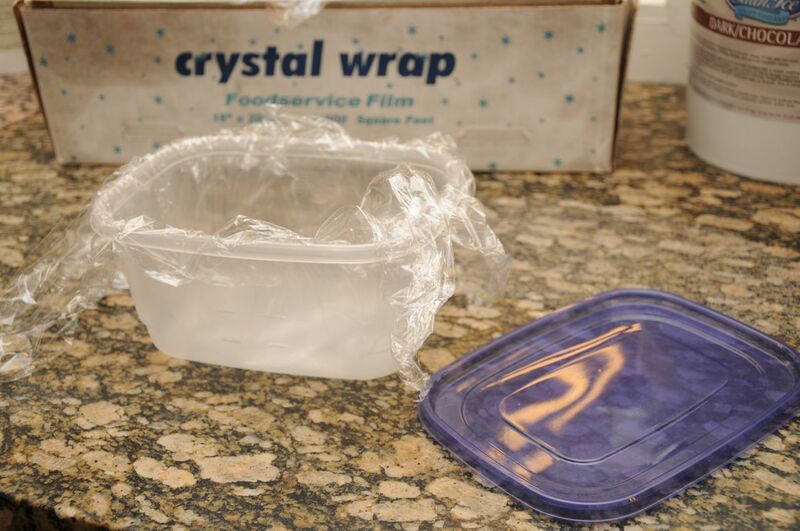 Cover the top with the plastic wrap, put on the lid and put it in the fridge. To serve, take out of the fridge, unwrap the plastic, put it on a plate, let the loaf get to room temperature (about 1.5 hours) cut and serve. It looks a bit like marble cake....but much, much better! this sounds soo delicious! must remember to try next time i have scraps!!! Sounds yummy. Another good idea, if you want it to look a little bit nicer is to process the scraps in a food processor. 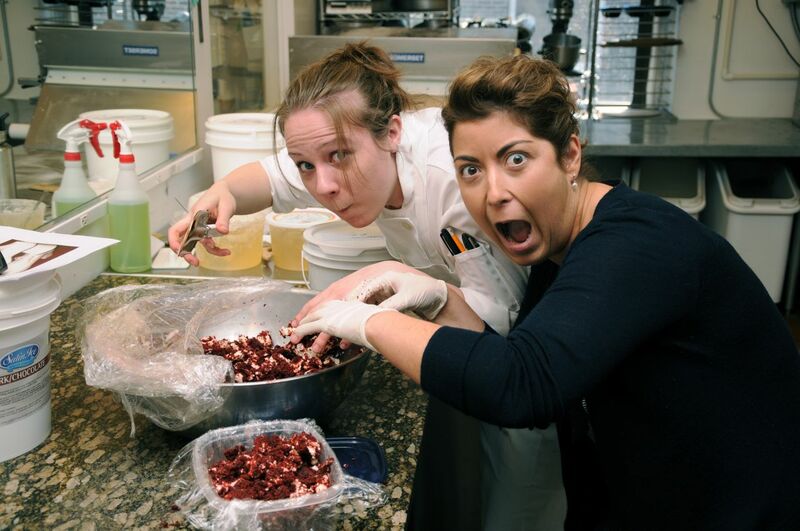 If the scraps have buttercream on them shape them into little balls, roll the balls in grated coconut and refrigerate. If they don’t have any filling, combine the cake crumbs with some yummy filling and then shape into balls. We make cake pops! Freeze the scraps and when we have enough of one flavor make balls and dip! I miss the cake bowl! 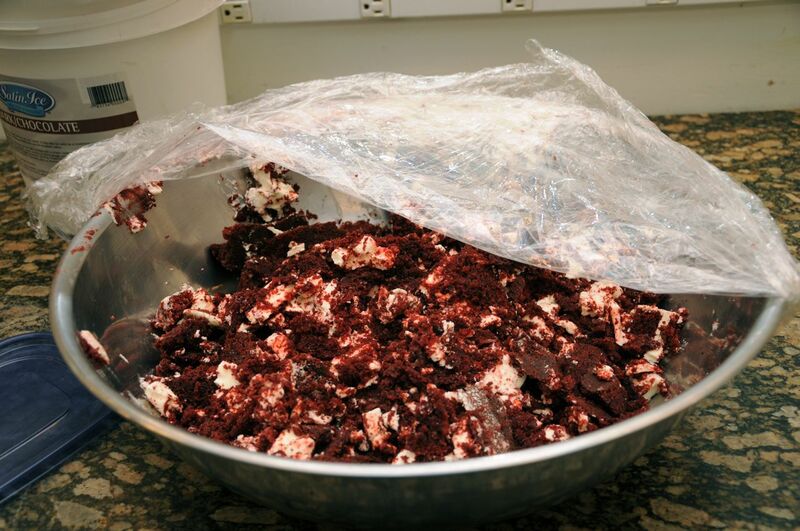 For all of my baker friends out there, I know you have cake scraps. When I worked for Ron, we found a creative way to make use them…. ← July??? How can you already be thinking about July?? ?